With the help of the information available on British Airways the PESTEL analysis of the organization is done. With the help of the PESTEL analysis the important conclusions and recommendations can be made about the future pathways of the organization. Political Impact: In this section the political impact of the government policies on the British airways is considered. The policies taken by the British government has helped the BA to grow a stronger base. The government policies are liberal towards the development of the organization and thus help in the revenue generation of the company. Some examples may include lower tax and service charges particularly for BA services. Economic Impact: The economic impact here involves the excellent job opportunities provided by the organization. They pay handsome salaries to their employees and thus generate great economic incentives for the employees to join them. There are a lot of openings available for the efficient staff. Social Impact: The biggest social impact of the organization is the bridging up of different countries with one another. The main reason is the excellent quality services provided by the organization that help the people cross borders meet each other. It helps people from counties visit around the world easily at very reasonable rates. Technological Impact: The country is keeping pace with the changing technological needs for the up gradation of technological base of the organization. New computerized systems have been launched that can help the customers book their tickets faster. Not only the technology is being updated for ticketing process but for the faster turnaround time for customers as well. Technically the organization has improved a lot since ten years. Efficient staff members who provide quality services to customers. Reasonable rates to attract major market of airlines customers. Very quick turnaround time for customers. Rising prices every year due to inefficient cost maintenance. The cost structure of the organization is quite weak which escalates its cost with a big percentage every year. Grab a huge market share with the help of the quality services being provided by BA. Make great revenues with the excellent team of operations and quality services. Market is niche and thus many big players are present in the market to compete against the airlines. BA needs to maintain the strong position in the market so as to reduce some competition from the new emerging airlines. Threat of new entrant: This threat is not very persistent with the airline as it is not that easy to enter this market. It requires a lot of capital investment to enter any airline market. Threat of Substitute Product: It is not very easy to launch new products in this field. It requires huge capital investment to launch a substitute product in this field. Rivalry among competitors: Rivalry is quite moderate because of their maximum contribution to the market. 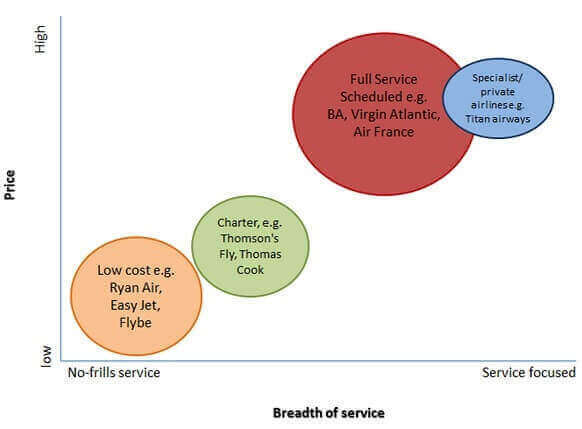 Market Penetration: British Airways is a well-established airline however they are facing the competition with other airlines (see appendix 4). With British airways expanding their wings in all parts of the world, they are going economically as well. They are helping other countries also to develop because of the transportation becoming easy from country to other with the help of BA (see appendix 2). Market Development: Market development focuses on developing the new market of customers in new segment. British Airways is trying their best to get back the business class customers from their competitor Virgin Atlantic airline (see appendix 4). To take this further the British Airways had introduced the loyalty programs for their business customers. They have also introduced all business services in their flight from London to New York (see appendix 2). Product Development: This includes the process which will get the new products in the market. For example, British Airways has introduced array of services in their flights like in flight internet services, telephone directories, better inflight entertainment, etc. They have also created sophisticated cabins in the flight where the customers can work, eat and sleep (see appendix1). Another is the introduction of the financial services like foreign exchange for the inflight customers. (Johnson et al, 2008). Diversification: This can be termed as the business strategy where the new product is been introduced in the market in order to increase the profitability. Penetrate in the new market of Middle East and Far East as they are emerging countries economically. The British Airways should go for alliance with other airlines like Jet airways in India; this will help the BA to increase the destinations in the country and also the flight schedule. (Belobaba et al, 2009). They should also open their own pilot and airhostess training academy as it will help the airline to have more skilled and professional workers in the company (see appendix 7). Based on the above analysis, three most possible strategic options will be considered based on the acceptability, feasibility and suitability. The various analysis has shown that British airways is been criticised for the poor baggage handling, delay in the schedules and negative handling of the employees (BBC, 2010a). It is vital to improve the people process so that the brand image is rebuilt and more confidence is built in the stakeholders. The company needs to identify how the company is performing in terms of human resource (see appendix 5). The appraisals will be able to give the correct picture. They will also be able to identify the reason for attrition of the employees. Suitability: Looking at the current economic environment (see appendix 1), it is less likely that the employees of the company will resign because of the increasing unemployment. (Belobaba et al, 2009). Also, the present strategy of British Airways is to motivate, encourage, support and train the employees and also improve the negativity which was caused due to baggage handling and delays (see appendix 2). Acceptability: As per the past records it has been seen that the employees and the customers will show interest in developing the relation with the company services (BA Corporate Responsibility Report, 2011). As per Skytrax, customers book the airlines keeping in mind the kind of relation the airline has with them (see appendix 2). Feasibility: There is an international customer database that helps to identify the right customer segment for the airways and if the British Airways will get the access to this database, it would help them in market research and also the development of the customer relations (Boeing, 2012). The kind of technology the airlines offers has become one of the major criteria for choosing the airline to travel. Technology improvement will increase the revenue as well as the overall services in the flight (Boeing, 2012). Suitability: The entertainment section in the flight needs the drastic improvement in order to increase the number of the customers travelling (see appendix 1). The competitors of BA are introducing new technology in their flights like usage of Internet and telephone in the flight. (O’Connell & Williamson 2011). Therefore, it is important for BA to keep up with the competition. Acceptability: The reports have shown that the internet connection can be reliable during the flights as the connection breaks only for some seconds. The implementation of this technology for each plane will take one to three days only (see appendix 5). Feasibility: It is very much possible with less cost incurring in the same. BA needs to implement this strategy (see appendix 5). In order to contest with Virgin Atlantic airlines, it is important to increase the segmentation in the business. (Manuela, 2011). Suitability: Presently the revenues of the BA are falling down therefore they need to increase the segment and focus on different markets also (Annual Report and Accounts, 2011). In order to capture the business segment for the short hauling flights, the company should offer incentives for the customers. (Johnson et al, 2008). The market is quite welcoming for BA because of its marketing strategies and brand positioning in the airline market. The well-trained cabin crew and one of the best customer services are the tools for success for British Airways (see appendix 5). Acceptability: The loyalty programs should be developed along with the database of the customers in order to target the business clients and the potential business clients (BA Corporate Responsibility Report, 2011). This will help in building the relationship of the users with the airlines. Also, the benefits provided should be sustainable (see appendix 5). Feasibility: The BA has lot of expertise and also holds the good reputation in the market therefore it will not be difficult for them to be successful (BBC, 2009a). Since there is no immediate threat, the airlines have enough time to implement the strategies (see appendix 2). The two most important strategies that need to be addressed immediately are the Strategic Option 1 and 2 that is improvement in the people process and the in-flight technologies. Recommendation on Strategic Option 1: This option is highly recommended, though British Airlines management is drafting the policies in order to rebuild the relation between the management and the employees yet there is a need to look into the reward system in the company for the employees. Intensive training should be provided to the employees. Recommendation on Strategic option 2: This is second highly recommended strategy and it is imperative for the BA to have the installations done right the very first time or else the mistakes can harm the brand image of the airline. Johnson G., Scholes K., Whittington R. (eds.) (2008) Exploring Corporate Strategy: Text and Cases, Pearson Education. Manuela Jr. W. (2011). The impact of entry and competition on airline departure frequency. Journal Of Business & Economics Research, August 2011 9(8) pp. O’Connell, J.F., Williamson G. (2011) Air Transport in the 21st Century: Key Strategic Developments, Ashgate Publishing. Need to comply by the regulations within the destination it serves (merged with Iberia in January 2011). Due to economic conditions, customers are more prices sensitive and increasingly looking for value for money, therefore there has been a rise in competition with low cost airlines. Brand image holds strong position in the market. Sole access to LHR terminal 5(BBC News, 2008a). Acquisition of modern, top of the line aircraft fleet. Highly performing Human Recourse Department (British Airway Careers, 2012). First class services are benefited from continuous technological innovation (Mintel, 2012c). London 2012 Official Airline sponsor for London Olympics 2012 (BBC News, 2008c). Open skies agreement granted in 2008(BBC News, 2008b). Acquisition of other airlines (The Economist, 2012b) (BBC, 2009a). Weak marketing campaign and strategy to encourage repeat purchase and customer loyalty. Many aspects can affect Company operations and reputation. Lack of the continuously plan for severe weather conditions (e.g. snowing conditions locked tens of thousands of BA’s passengers in Heathrow Airport)(Telegraph, 2013). Employee strikes (BBC News, 2010a). Heathrow Airport expansion, which could result in a larger slot share of the airport. Travel market is expanding, giving an opportunity for discovering new destinations. Technological innovations can result in cost savings, from more fuel-efficient aircrafts (e.g. SOLENA and COMAC) to more automated ground operations. Planning to invest £5 billion in 5-year programme into product, customer service and expansion of Airlines fleet. Global economic downturn negatively affects leisure travel. Increasing popularity of online conferencing puts threat on business travel. Price of fuel is putting increasing pressure on airline operational costs (Mintel, 2012b). National disasters and terrorism attacks can result in a loss of profit. Intense competition, in particular in the short haul. High switching costs because there are only two aircraft manufactories (Airbus and Boeing). Firm Infrastructure: BA are a Plc company and a member of the strategic alliance, One World. BA play an active in CSR, e.g. working with US bioenergy group Solena. Human Resources Management: Well established employee engagement, staff rewards and strong communications channels amongst the work force. However in the past, employees strikes have been in response to changes to staff contracts (BBC News,2009b). HRM provides training in order to maintain a high quality of service within it's operations. Procurement: Responsible Procurement Strategy, which inclues BA's endeavour to use ethical suppliers, as well as incorporating a specialised procurement team within the business in order to monitor corporate social responsibility risks. BA purchases everything from hotels, fuel, in-flight entertainment and advertising to office furnishing BA introduce eProcurement Strategy in order to innovate this process. Inbound Logistics: eProcurement strategy is benefiting on-going relationships with suppliers, which results in BA gaining strong competitive advantage. e.g. BA has a long term contracts with well established suppliers, such as GateGourmet (Caterer & Hotelkeeper, 2008). Operation: BA's main operational focus is the smooth running of outgoing and incoming flights, including the check in process, baggage handling and prebooking of additional services and products. Outbound Logistics: BA maintains a strong quantity of airport slots, for example the group holds 41% of the slots in Heartthrow airport(Daily Mail, n.d). Therefore, this provides customers access to many destinations from their preferred airport. Distributing products and service through online, travel agencies, call centers. Marketing and Sales: BA show signs of strength in advertising with some companies worth £20 million, however the company have seen to make costly mistakes in marketing (mirror 2011). Moreover the company promise : 'To Fly, To Serve portrays their endeavour to provide a high quality of service. BA have used the marketing of English heritage to their advantage in order to build reputation and brand e.g. Olympic campaign 'Don't Fly, support the team GB' (Travel Weekly, 2012). After-Sales: BA have initiated their loyalty club cards to customers. 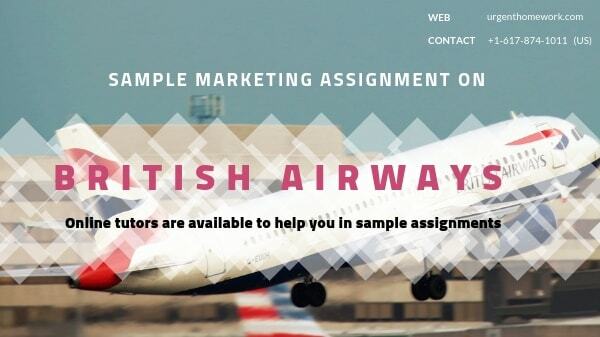 BA maintain communication with their customers through a range of channels such as emails with marketing promotions and feedback questionnaires. As well as, offering a lost baggage Service. Technology development allows for a more faster, easier and efficient outbound logistics and operation process. Continuous lack of plan for severe weather conditions. Develop motivation within the workplace through rewards and training programmes to satisfy staff (W3i, t1).